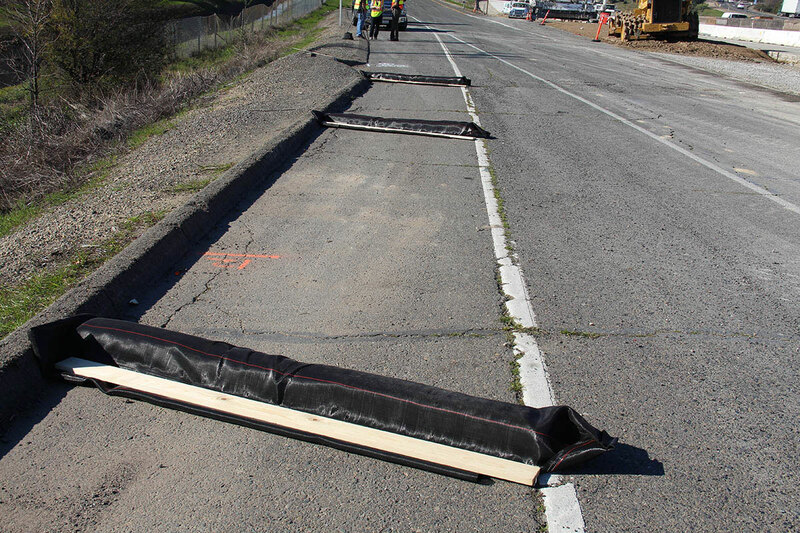 Stop having to replace sediment barriers when they get run over. 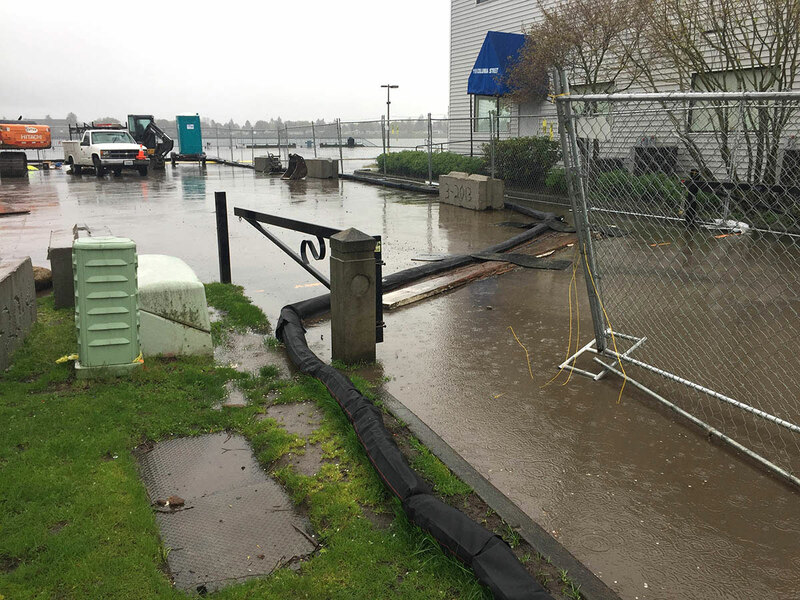 Gain greater access to your site without sacrificing your sediment control. DuraWattle is easy to install and more versatile than silt fence or straw wattle. 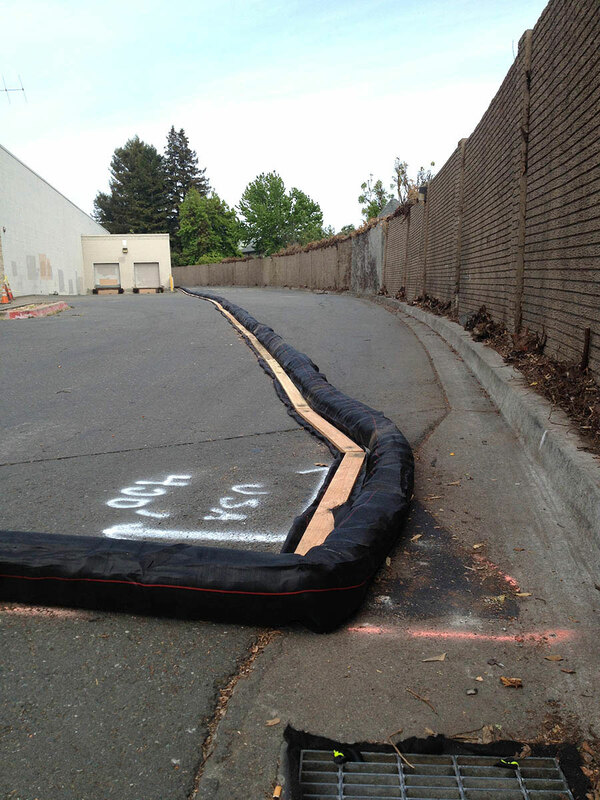 It can be secured across soil and asphalt without a change in its overall effectiveness. See our installation page for more information on all applications. DuraWattle is effective on both soil and hard surfaces. The tail section is secured to the hard surface with wood or steel planks and concrete anchor screws to prevent undermining. See more about installation. 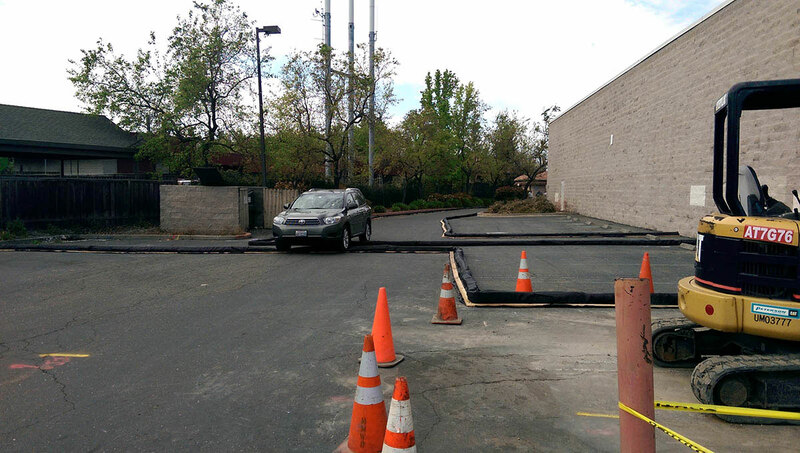 Our customers have reported little to no damage to existing asphalt or concrete after DuraWattle was removed from their site. They were also able to reuse most of the product after it was removed. 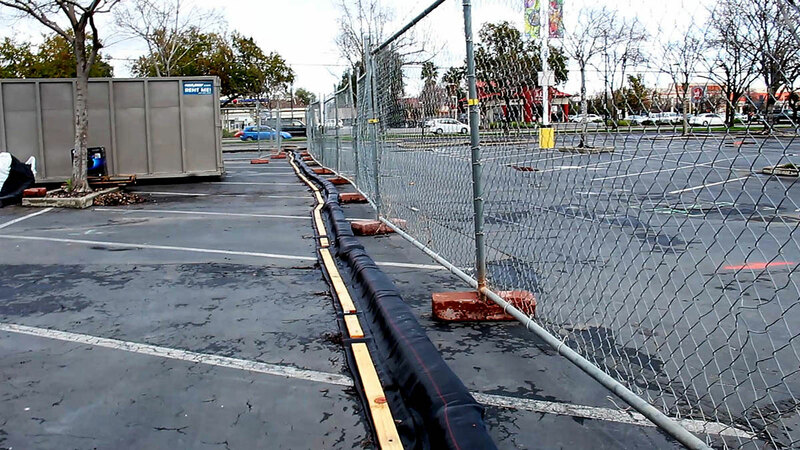 Shames Construction utilized DuraWattle on a Walmart construction project in CA. Receive, store, and move DuraWattle much more efficiently in its compressed form. Each pallet contains six 300ft bundles that are easily transported across sites. Each DuraWattle section interlocks forming a continuous barrier around the perimeter of your site. 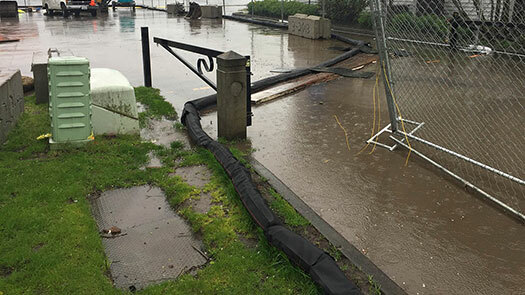 Typically, other synthetic sediment retention devices are secured to the ground using weights. DuraWattle is secured by its “tail section”. The inner foam core of DuraWattle does not absorb any water, so it maintains its lightweight nature even after a rain event. Tested at 96.6% sediment retention, 58% turbidity reduction, and a clean water flow through rate of 100gpm/ft2. See the full test summary here. While DuraWattle is designed to withstand heavy traffic, it is recommended to only drive vehicles directly over the product. If a vehicle stops with its wheels on top of the installed DuraWattle and turns before driving over it, then the product will be torn by the wheels.